The new iPad mini and iPad Air will be available in silver, space grey and gold finishes in 64 GB and 256 GB configurations. 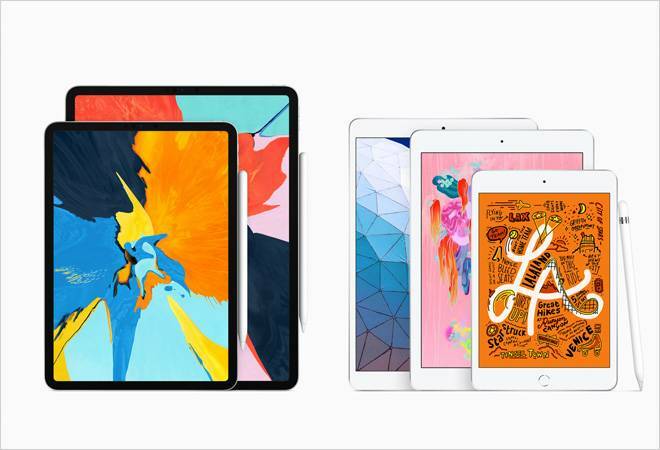 Ahead of its March 25 event, where the Cupertino giant is expected to debut its video streaming service, Apple has announced the launch of two new iPads. The 10.5-inch new iPad Air and the 7.9-inch new iPad mini are powered by A12 Bionic chip with the Neural Engine, which features Retina display along with support for 1st generation Apple Pencil. The new iPad mini and iPad Air will be available in silver, space grey and gold finishes in 64 GB and 256 GB configurations. The price of new iPad mini starts at Rs 34,900 for the Wi-Fi model and Rs 45,900 for the Wi-Fi + Cellular model. The 10.5-inch iPad Air starts at Rs 44,900 for the Wi-Fi model and Rs 55,900 for the Wi-Fi + Cellular model. While the new iPad models are available in select countries including US, UK, Japan, France, Germany and more, it will be available in India along with China, Russia, Greece, Isreal and Turkey starting next week. Apple Pencil (1st generation) can be purchased separately for Rs 8,500 and the Smart Keyboard for 10.5inch iPad Air is available for Rs 3,500. Even the Polyurethane Smart Covers are available at Rs 3,500 for iPad mini and at Rs 3700 for iPad Air in charcoal grey, white, pink sand and a new papaya. "The iPad continues to provide magical new experiences for a growing range of uses where it is the absolute best device, from playing games in augmented reality to note-taking and drawing with Apple Pencil, from streaming HD movies and editing 4K films to learning to develop apps with Swift Playgrounds", said Phil Schiller, Apple's senior vice president of Worldwide Marketing. "Today the iPad family takes two big leaps forward with an all-new 10.5-inch iPad Air that brings high-end size, features and performance at a breakthrough price, and a major upgrade to the 7.9-inch iPad mini, which also brings Apple Pencil, Retina display and the A12 Bionic chip to the many customers that love its compact size". Running iOS on iPad, the new Air and mini are pegged as the perfect devices for productivity on the go as Siri shortcuts, photo search and voice memos should be able to get things done faster. The Dock provides quick access to frequently used apps and documents from any screen, and multitasking is easy with Split View and Slide Over. Drag and Drop make moving images, text and files between apps easier than ever, and managing documents in the Files app is seamless and easy on iPad and across Apple devices. Users have access to more than 1.3 million apps designed specifically for iPad - from journaling with Apple Pencil to managing schedules and finances, editing photos, learning, connecting with friends and family, and playing games. Apple Pencil support for these two new iPads offers creativity tools, which allow users to draw and write on documents, presentations, images and more. And is increasingly becoming popular amongst students and professionals for a natural drawing experience. Even the upcoming update iWork for iOS will enhance Apple Pencil integration, which includes new animation options in Keynote and more. However, Apple has opted for the 1st generation Apple Pencil instead of the 2nd generation launched late last year. For seamless connectivity, it features Wi-Fi and Gigabit-class LTE connectivity. With built in eSIM technology, users can easily connect to wireless data plans right from iPad when travelling in more than 180 countries around the world. For multimedia, the iPad mini and iPad Air captures stable 1080p HD videos. The upgraded cameras with better low-light performance and HD video recording come handy for scanning a document or connecting over FaceTime calls. Apple iPad Lineup: Introduced first in 2010, Apple has been constantly refreshing the iPad portfolio with models in different sizes. The new iPad Air and iPad mini join the most affordable 9.7-inch iPad and the most advanced iPad Pro models. The complete lineup now includes Apple Pencil support.